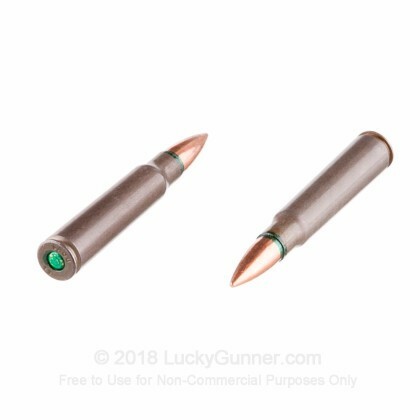 These Romanian-made cartridges from PW Arms are perfect for range time and practice with your favorite 8mm Mauser rifles. 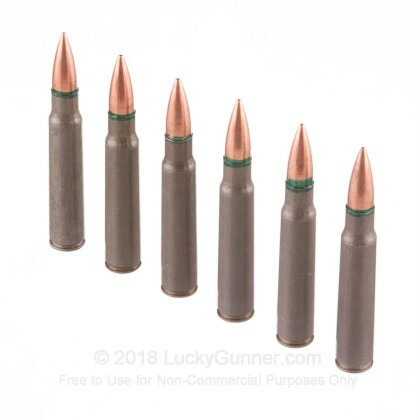 These rounds are relatively inexpensive price due to their use of non-reloadable steel casings. 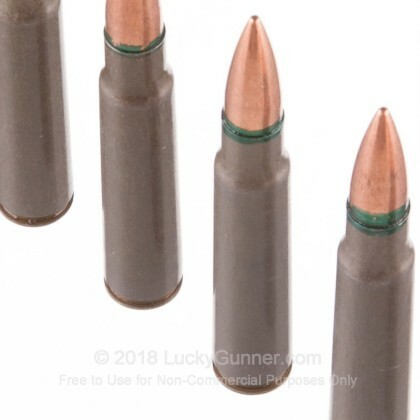 The cases are coated with lacquer, which prevents them rusting in storage and decreases the amount of undue wear done to bolt faces, ejectors, and extractors. Each case uses a equipped with a non-corrosive Berdan primer for clean, reliable ignition. 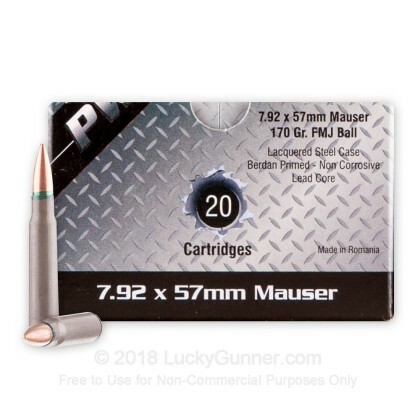 At the tip of each round is a full metal jacket (FMJ) projectile which weighs 170 grains; this is a balanced weight for the caliber and carries ample energy out to extended distances for easy ranging. 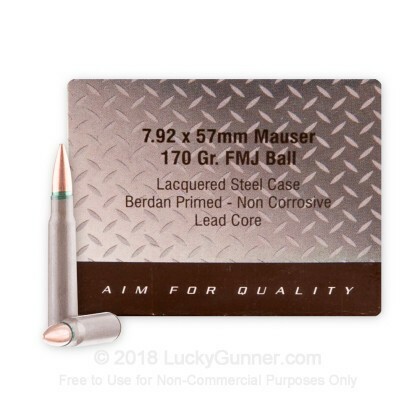 For extra protection from the elements, moisture-blocking sealant has been applied to both primers and bullets. It's a bit low volocity for the mighty 8mm but for the money it's not bad. Had some issues with it locking up the bolt once or twice but overall I'm not disappointed. A bit funky to shoot quickly sometimes, but functions otherwise perfectly. Works fine, a bit hard to extract sometimes, but overall it'll get the job done.